**Chosen as one of "Summer's Best Books" by PEOPLE MAGAZINE: "Suprisingly insightful and seriously fun." One of O MAGAZINE*'s "*Season's Best"
Bennington College, founded in 1932 as a suitable refuge for the wayward daughters of good families, maintains its saucy reputation for attracting free spirits. There, acres outnumber students, the faculty is composed of fading hippie and clothing is largely optional. Or, as J. D. Salinger put it in Franny and Zooey: a Bennington-type "looked like she'd spent the whole train ride in the john, sculpting or painting or something, or as though she had a leotard on under her dress." Cassandra Puffin and Sylvie Furst met in high school but cement what they ardently believe will be everlasting friendship on Bennington's idyllic Vermont campus. Graduation sees Sylvie moving to New York City, where, later on their twenties, Cassandra joins her. These early, delirious years are spent decorating their Fort Greene apartment with flea market gems, dating "artists", and trying to figure out what they're doing with their lives. The girls are acutely and caustically observant of the unique rhythms of the city but tone deaf to their own imperfections, which eventually drives a wedge between them. 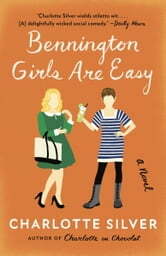 Equal parts heartfelt and hilarious, Bennington Girls Are Easy is a novel about female friendships—how with one word from a confidante can lift you up or tear you down—and how difficult it is to balance someone else's devastatingly funny lapses in judgment with your own professional and personal missteps. I did not like this book. I think Charlotte Silver intended to do for Bennington College what Mary McCarthy did for Vassar in The Group or Sigrid Nunez for Barnard College in The Last of Her Kind: to use an elite, private, originally women-only college as both the hothouse spawning intense female friendships and the launching pad to "real life" in the big city. She has failed. Instead, she has given us two pretentious caricatures who are neither witty nor amusing, but simply unlikeable, wrapping them in overblown, unintentionally parodic prose. In place of a "dark and stormy night," we have "the golden-green wilds of adolescence" and "sweet pangs of nostalgia." Of her two main characters, Sylvie and Cassandra, we are clearly meant to prefer Cassandra, yet what reader could care about this woman: "Today, Sylvie and Quinn were sitting together, doing pastel chalk drawings on the pavement. Cassandra, seeing them, thought: Oh God, am I going to have to sit on the ground? This babysitting business sometimes got a little too rugged for her, even as a spectator. She looked down at her shapely navy blue dress - much more chic than black on a spring afternoon - worn to show off her figure to Professor Sobel. It was going to be difficult to kneel in that dress without the fabric tugging." In the right hands, self-centered characters can nevertheless be charming, but they need a more down-to-earth foil if they are to avoid becoming cartoonish (think Sebastian Flyte and Charles Ryder in Evelyn Waugh's Brideshead Revisited). Those hands are not Silver's; her Bennington girls may be easy, but they are not funny. 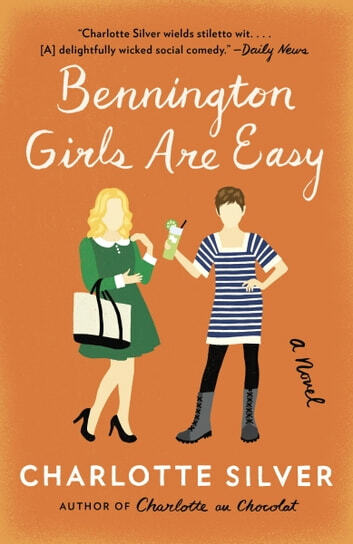 I received a free copy of Bennington Girls Are Easy through NetGalley in exchange for an honest review.